Every year for the last 42 years, Barcelona has been hosting the International Jazz Festival and this year will be no different. Starting on the 20th of October and running right until the 1st of December, Europe’s premier jazz event boasts an interesting line up of bands and artists from all over the world for its 43rd anniversary. It takes place in 15 different venues in Barcelona with a total of 80 planned concerts. This year the festival collaborates with the legendary Italian ‘Umbria Jazz Festival’ to present top Italian jazz names like pianist Stefano Bollani and trumpeters, Enrico Rava and Paolo Fresu. If you are a jazz fan, you will love the opportunity to experience everything jazz from pianos, bass guitars and many reed instruments to foot tapping African melodies. In addition to the musical extravaganza, there will be free prologue concerts, family concerts, exhibitions, fringe events and jazz and gastronomy events, which combine jazz with wine tasting, cocktails and dinners. The concert kicks off with an orchestra by Maria Schniederat at the Palau de la Musica, while the final concert will be held at the Auditori and will star Paolo Conte. Coming to Barcelona this autumn? 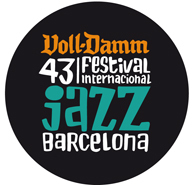 Stay in a central Barcelona apartment and enjoy all the musical offerings of the 43rd International Jazz Festival. You can also find accommodation at great prices all over the city from beach apartments in Barcelona to Sagrada Familia apartments, so you will never be far away from the next fabulous concert. 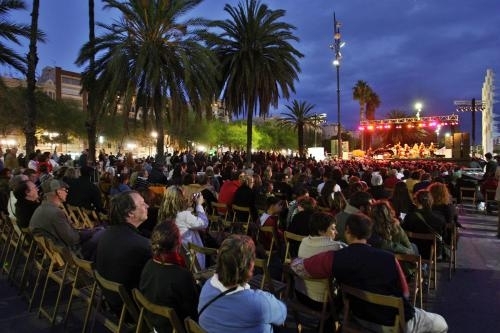 This entry was posted in Events, Home and tagged barcelona events, music, palau de la musica. Bookmark the permalink.